Grate the cauliflower and squeeze by pressing it tightly between your hands. Place it on a a hot griddle pan (tava)and turn the side after 1 minute. Now spread some oil on first side and turn the side spread some oil on the other side as well. Cook pressing with a spatula from both sides till well cooked from both sides. Serve hot with butter and pickle or green chuttney. Mash or grate khoya/mava in a bowl.There shouldn't be any lumps. 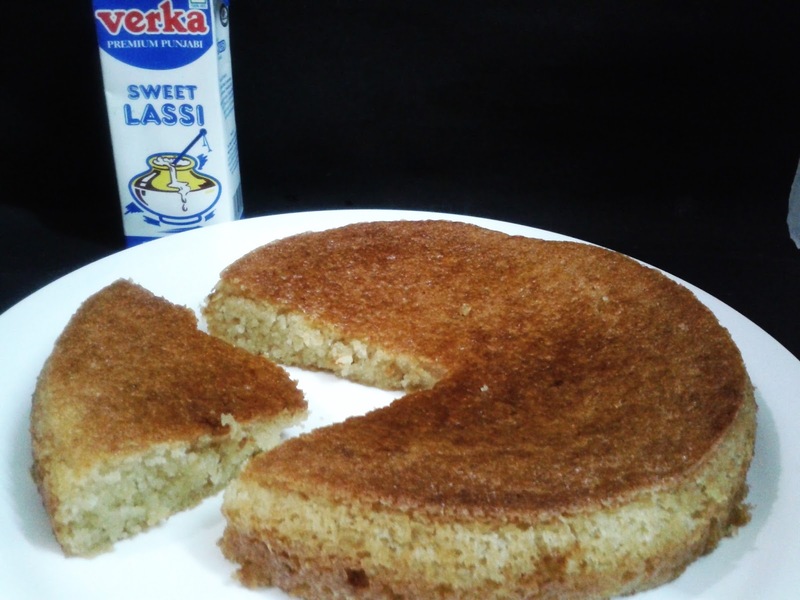 Add grated cottage cheese,semolina, all purpose flour and baking powder to the mashed khoya. Add milk and gently mix all the ingredients to make a smooth dough. Make small balls from the dough. cover the balls and keep aside for another 10-15 minutes. Heat one cup water in a large pan and add sugar and cardamom powder to it. Switch off the gas before the syrup reaches a one thread consistency. Heat oil in a wok (kadahi) till it is medium hot. Lower the flame and gently fry the gulaab jamuns in medium hot oil. Keep on rotating them in the oil till the gulaab jamuns are evenly browned. 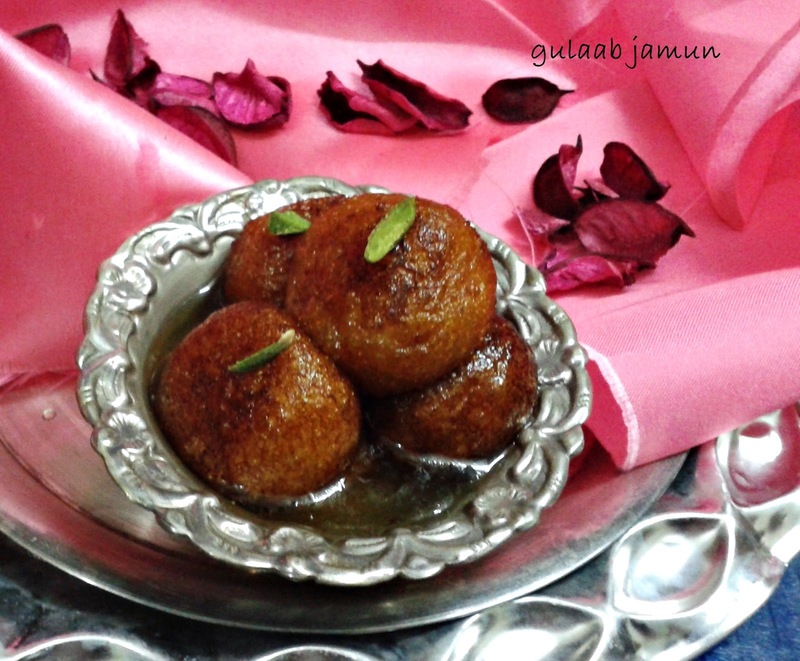 Take out the gulaab jamuns from oil and place the hot gulab jamuns in the sugar syrup. Continue frying the gulaab jamuns this way in batches. When all the jamuns are placed in the sugar syrup, then keep the whole pan with the sugar syrup and gulaab jamuns, on a low flame for a few minutes till the gulaab jamuns become soft. Don't over cook as then the gulaab jamuns will break. 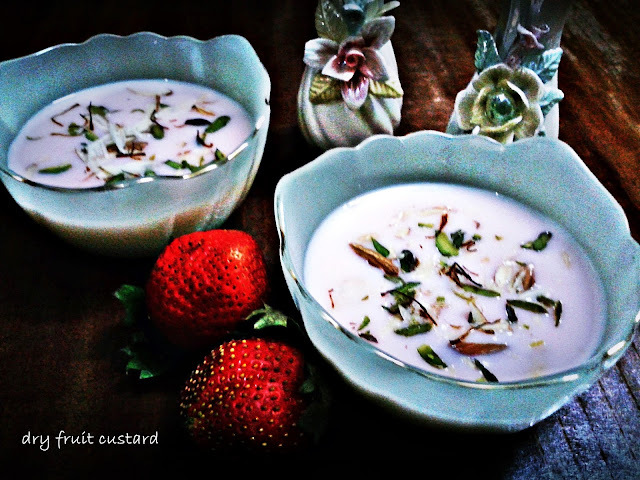 Garnish with slivered pistachios and serve gulab jamuns hot or warm. Take 2-3 garlic cloves and thinly slice them lengthwise. Heat olive oil in a pan a and fry these garlic slivers in it with a pinch of salt. Wash the broccoli and cut medium size pieces of the florets with very little stem attached to them and roast them in the same pan in which you fried the garlic. Add very little salt and pepper to it. When they start getting brown switch off the gas. Roughly chop rest of the broccoli, garlic and onion and boil them along with 2 cups of water in a pan or pressure cooker till they become soft. Puree the boiled vegges in a mixer or with a blender. 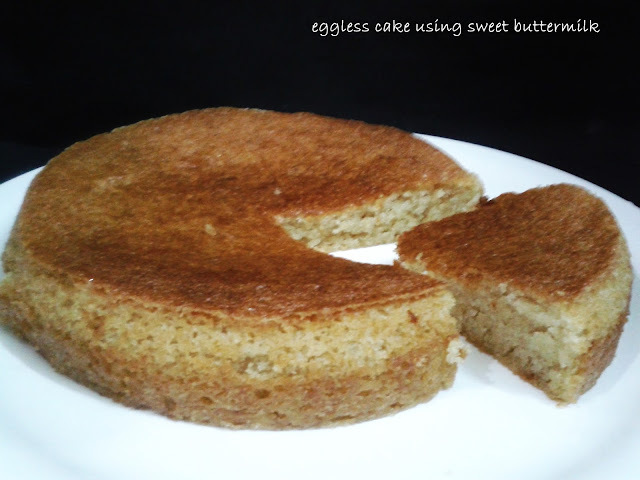 Melt butter in a pan and add all purpose flour to it stir for a while and add milk stirring continuously. Now add the pureed liquid and boil for 2-3 minutes. Add salt and pepper. 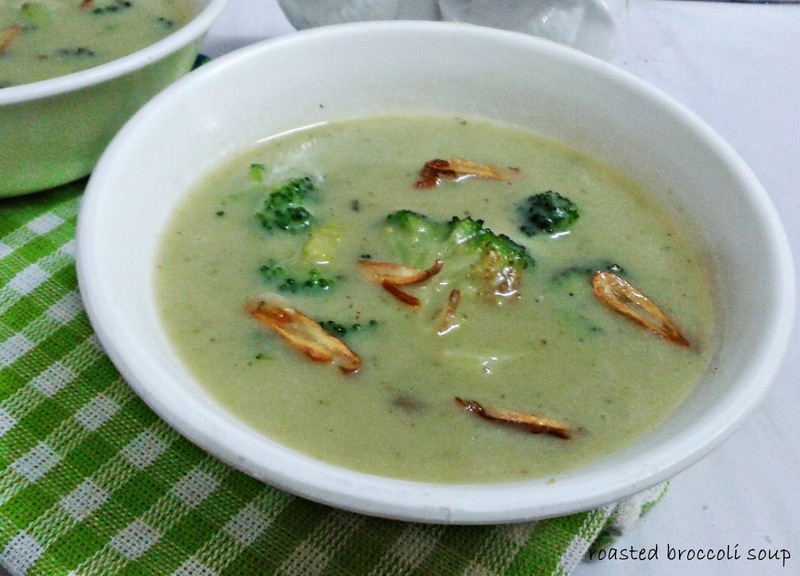 Strain the soup and add roasted broccoli . Boil further for a minute, garnish with fried garlic and serve hot. 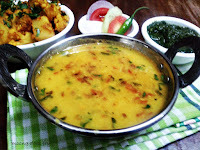 Heat oil or ghee in a kadahi (wok). Crackle cumin seeds in the hot oil then add chopped onions and saute till they become transparent. Add chopped ginger, green chilies and stir for a while. Now add all the veggies and cook for a while. Meanwhile dry roast dalia in a separate pan till it starts changing color. 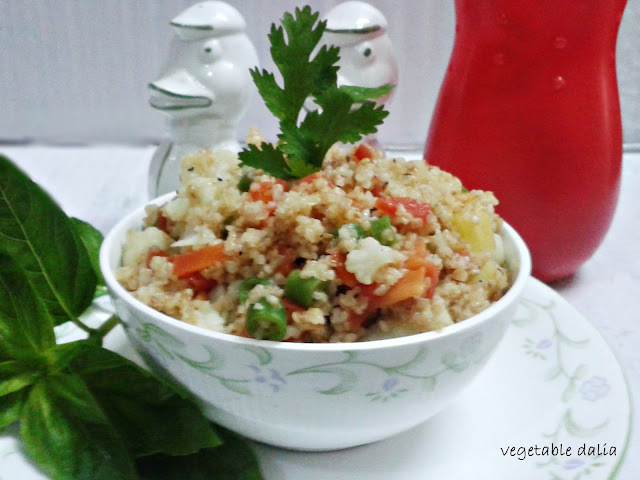 Add roasted dalia and 3 cups water to the vegetables. Add all the spices and salt. Cook on low flame under lid till the dalia is cooked well. If the dalia has not cooked completely, then add some more water and cook further till it softens. Add lemon juice and mix well . 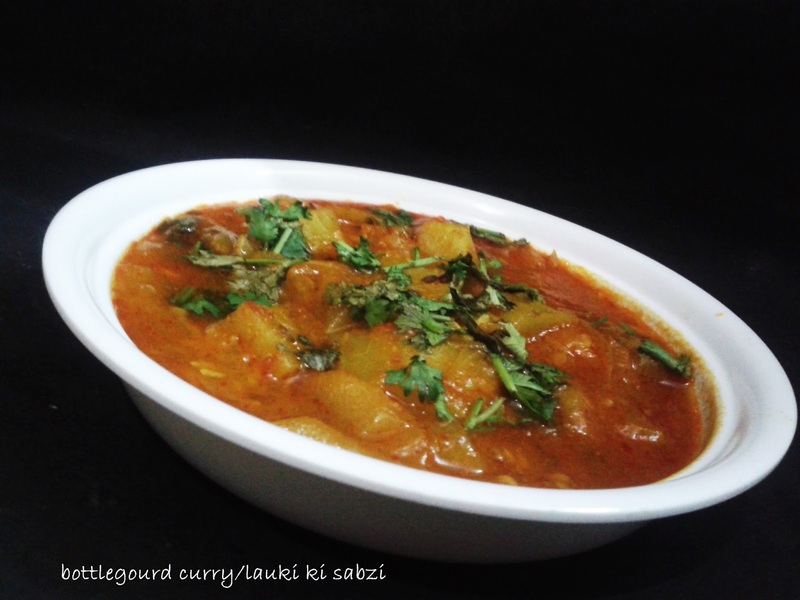 Garnish vegetable dalia with coriander leaves and serve hot or warm with curd or chuttney or ketchup. Wash and soak chana dal overnight or at least for 5-6 hours. Drain water and grind chana dal along with green chilies and ginger to a coarse paste. Do not add any water while grinding. Slightly grind the corn kennels. Transfer the ground chana dal and corn kennels to large bowl. Add methi, onion, coriander leaves,degi mich powder,cumin seeds, dry mango powder,turmeric powder and salt and mix well. Heat oil in heavy bottom pan. 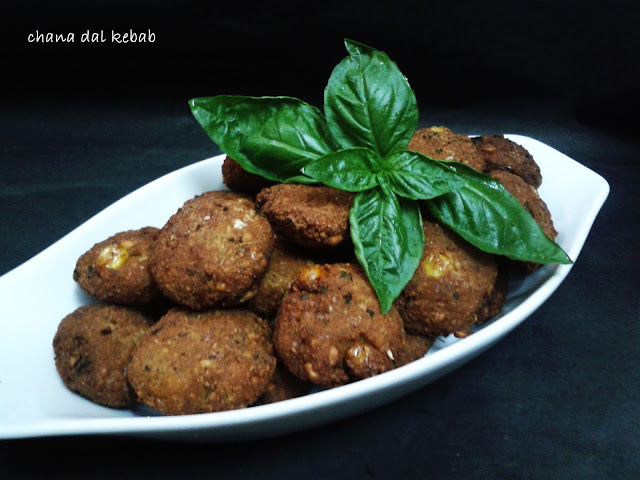 Now, take lemon size mixture on your palm and make kebabs of desired shape. When the oil is hot, gently slide-in the kebabs and fry on medium heat until golden brown in color. Take them out and drain onto absorbent paper. Repeat the same for rest of the kebabs. Serve them hot with chutney or sauce of your choice. Fry one kebab first and if you feel that the kebab mixture is not binding properly you can add breadcrumbs or roasted chick pea flour to the mixture. This can happen if the ground mixture is watery. If serving in a party half fry them and keep aside and re- fry at the time of serving. It is important to fry them on medium heat otherwise the kebabs may remain uncooked from inside. Add buttermilk and vanilla essence to the creamed mixture and mix until well combined. Finally, add the nuts and fold in gently. Keep the pan in the oven first for 10 minutes at 180 C and then at 150 C for 30 mi0nutes. Check with the help of a knife if it comes clean then it is done,now remove it from oven and serve hot. Heat olive oil in a pan add diced onions,capsicum ,broccoli ,baby corn or corn,french beans and black pepper and salt to taste and cook for a minute or two. Add pizza pasta sauce,tomato ketchup,1/2 cup water and Amul cheese spread to it and mix well. Cook further for a minute or two. Add mixed herbs and mix well. 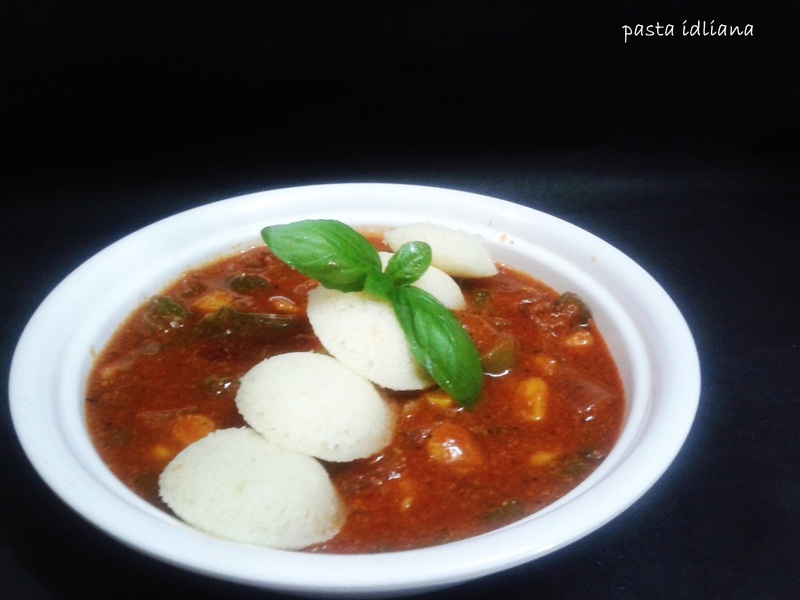 Take out the sauce in a bowl and place idlis in the sauce.Serve hot. Peel ,wash and cut bottle gourd in desired shape. Keep aside. Heat ghee in a pressure cooker and add cumin seeds. When they start to crackle add roughly chopped onions and saute for one minute. When the onions are pink in color add all the spices and give a stir. Now add bottle gourd pieces and 1/2 cup water and close the lid of the pressure cooker. Pure tomatoes along with ginger and green chili in a mixer and keep aside. After two whistles switch off the gas and wait till the pressure releases by itself. When the pressure releases add pureed tomato and again put the lid on for two more whistles. When the pressure releases check and if required cook for some more time and if you need more gravy add some water as well and cook for a while. 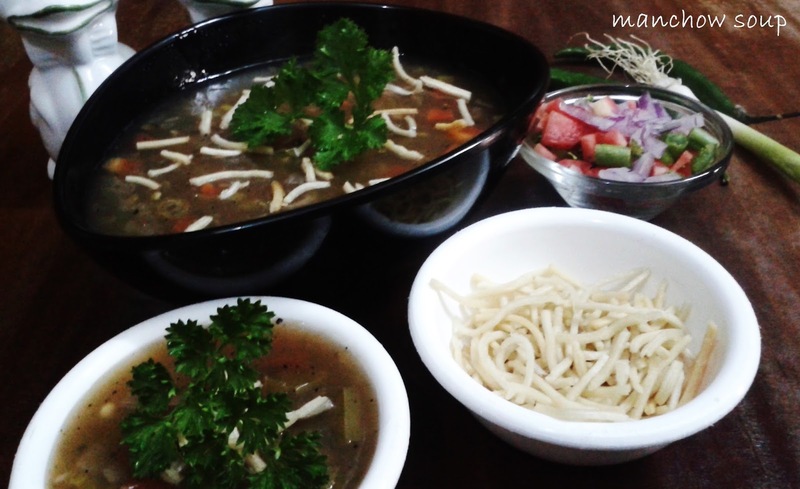 Garnish with coriander leaves and serve hot with chapati,rice or khichdi. 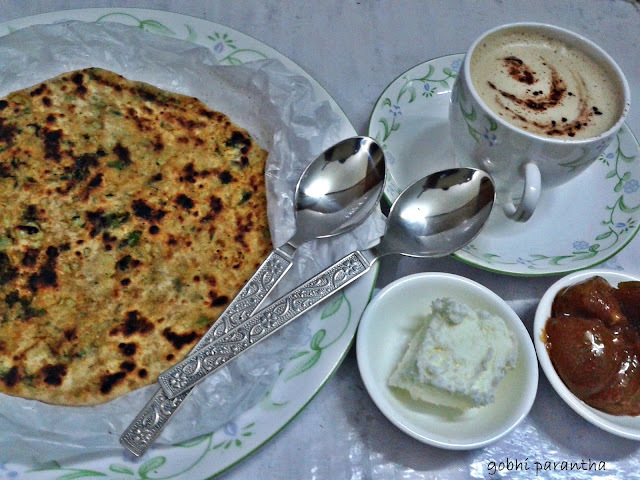 Curd along with bottle gourd curry makes an awesome combination. Cut the cottage cheese in cubes and wash them. Drain out extra water but don't let them get dry and sprinkle cornflour over cheese cubes and let it coat the cheese cubes from all sides. Mix rice flour,chick pea flour,all purpose flour,ginger garlic paste,salt,baking soda and chili sauce along with some water to make a batter of coating consistency . Heat oil in a pan, dip the cheese cubes (one at a time) in the batter and pick it up with a fork and drop it in medium hot oil. Do this in batches not all at a time. Cook till they become crisp and brown from all sides and serve hot with any dip,sauce,chuttney or ketchup of your choice. Take daal, turmeric powder,salt,1 tsp ghee and 4 cups of water in a pressure cooker. Pressure cook on high flame till first whistle then simmer the gas and switch off the gas after second whistle. Once the pressure settles down, remove the lid and stir the dal. 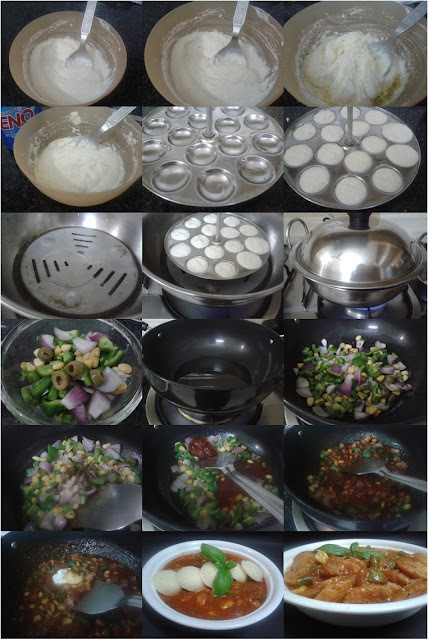 Check the daal if required cook further without lid till you reach the desired consistency. Heat ghee or butter in a pan and crackle cumin seeds. Then add ginger, garlic and stir for a while then add onions and cook till they become brown in color. Now add chopped green chili and chopped tomatoes and cook till the tomatoes become soft and the masala leaves ghee. Switch off the gas and add the garam masala powder, red chili powder and chopped coriander leaves. Mix well and pour the tempering mixture in the daal. 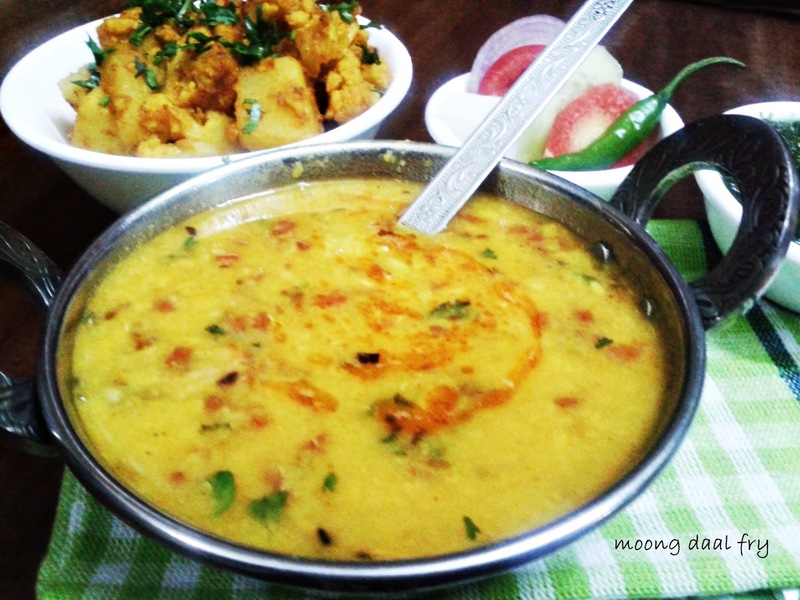 Mix well and serve hot moong daal with steamed rice or chapatis. How many whistles are required will depend on the size of cooker , quality of daal and hardness of water. So give one whistle and then open the cooker when the pressure settles by itself and then cook the daal till it becomes almost mushy (the grain and water mix well). 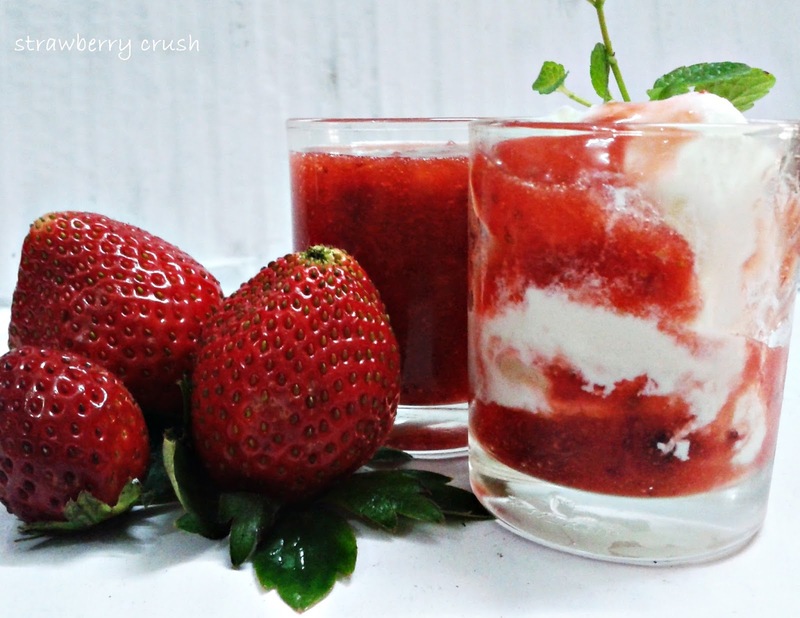 Most of the winter desserts are quite time consuming and heavy so try this quick and lighter dessert this winter. Heat 1/2 ltr milk in a pan and let it come to a boil. Dissolve the strawberry custard powder in 2 tbsp milk and add this to the boiling milk stirring continuously so that there are no lumps in the custard. Add sugar and cook for 4-5 minutes on medium heat stirring continuously to avoid burning of the custard. Add the nuts and switch off the gas. Garnish with slivered pistachios,almonds and saffron strands and serve hot . You can choose any other flavour as well as per taste. If you like thicker or thinner custard then adjust the quantity of custard powder accordingly. Boil water in a pan and switch off the gas, add chopped pasley and cover the pan with a lid. Let parsley be in water for 10-15 minutes. After 10-15 minutes strain it with a strainer and add lemon juice. Serve it warm. 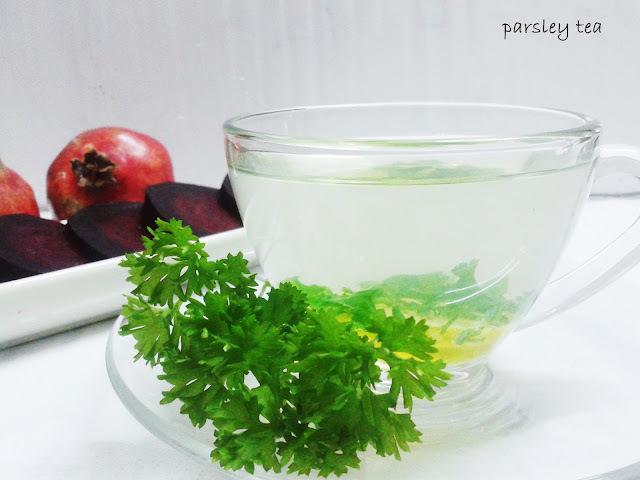 It helps flush out excess fluid from the body, thus helps in loosing weight. You can serve it in a no. of ways like on bread ,cakes ,waffles,tarts,shakes and with ice- cream. Soak almonds at least for two hours. Pour hot water on them and keep aside for five minutes to blanch them and then peel them. Now coarsely grind them along with 1/2 cup milk in a grinder. Heat ghee in a non-stick pan and cook the coarsely ground almond paste in it on low-medium heat till it becomes golden brown in color stirring continuously. Now add remaining 1/2 cup milk,sugar and cardamom powder and mix well. Remove from fire when the sugar dissolves completely. Make small balls and press to make a dent in center. 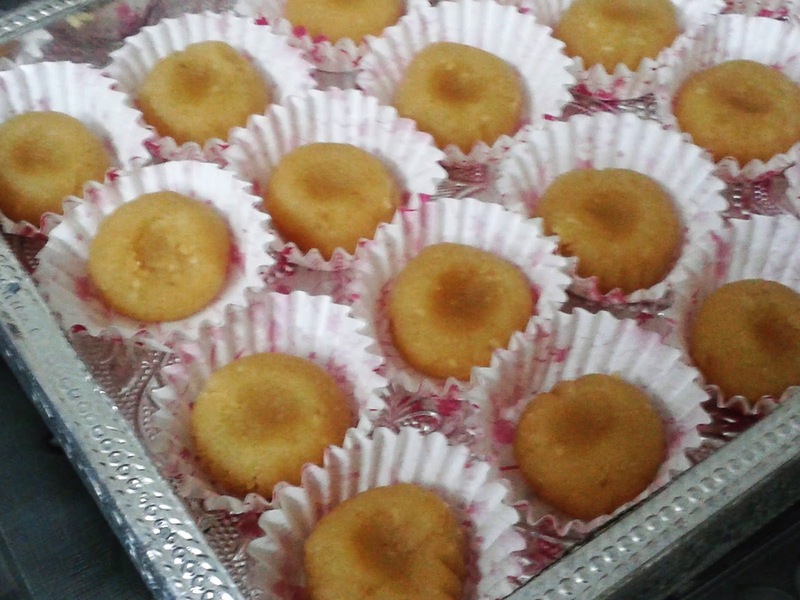 Place them in paper cups and serve. Take gram flour,rice flour,turmeric powder,red chili powder,coriander powder,sabzi masala and salt in a bowl. Add little water at a time and mix to make smooth batter of coating consistency. Wash and slice the brinjals in desired shape. 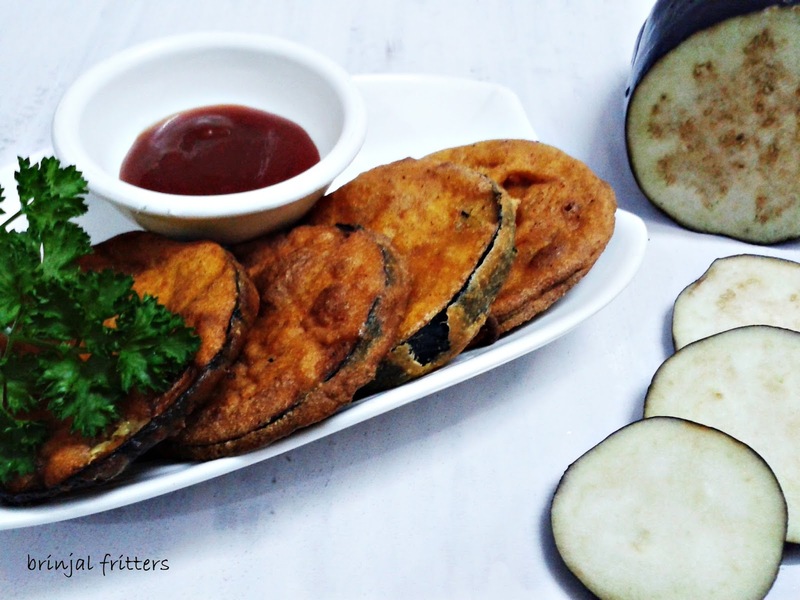 Dip the slices in the batter so that the gramflour coats the brinjal from all sides. Gently drop the slices in medium hot oil and fry the brinjal fritters from both sides till crisp and golden brown in color. 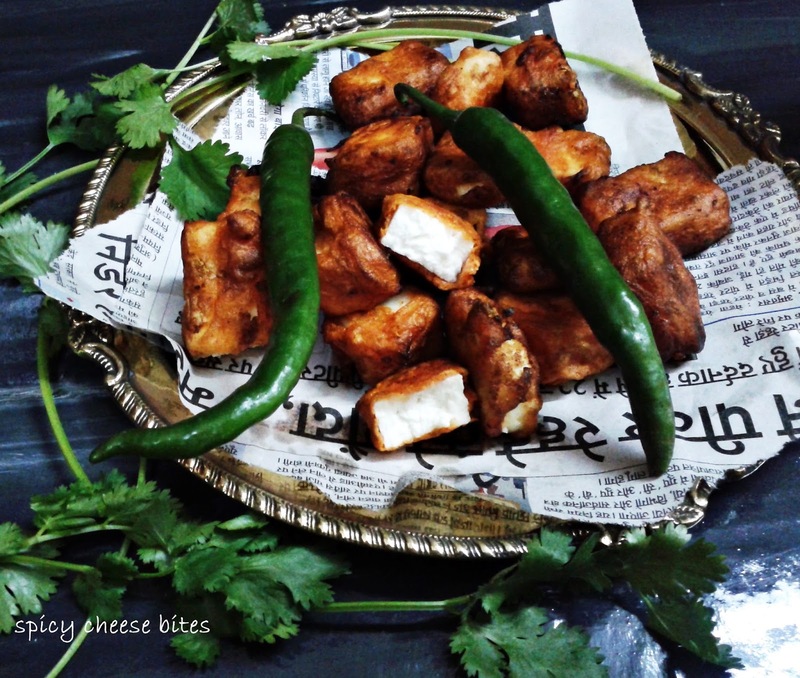 Drain out the pakoras on a paper napkin to remove excess oil. Sprinkle chaat masala and serve hot fritters with coriander chutney or tamarind chutney or tomato ketchup. Wash and finely chop all the veggies and keep them aside. Heat oil in a pan and add the chopped garlic,onion and green chilies. Stir for a while and then add finely chopped vegetables and stir fry them on a medium to high flame for 3 to 4 minutes. Now add soy sauce,salt and pepper and mix well. Add 3 cup water and let it come to a boil then add cornflour dissolved in water and keep on stirring till you reach the desired consistency. Boil noodles as you boil for chow mein or chop suey drain out excess water. Heat oil in a wok and deep fry the noodles till they become crisp but not brown. Drain out the fried noodles on kitchen paper towels. Serve veg manchow soup hot garnished with fried noodles and coriander leaves.